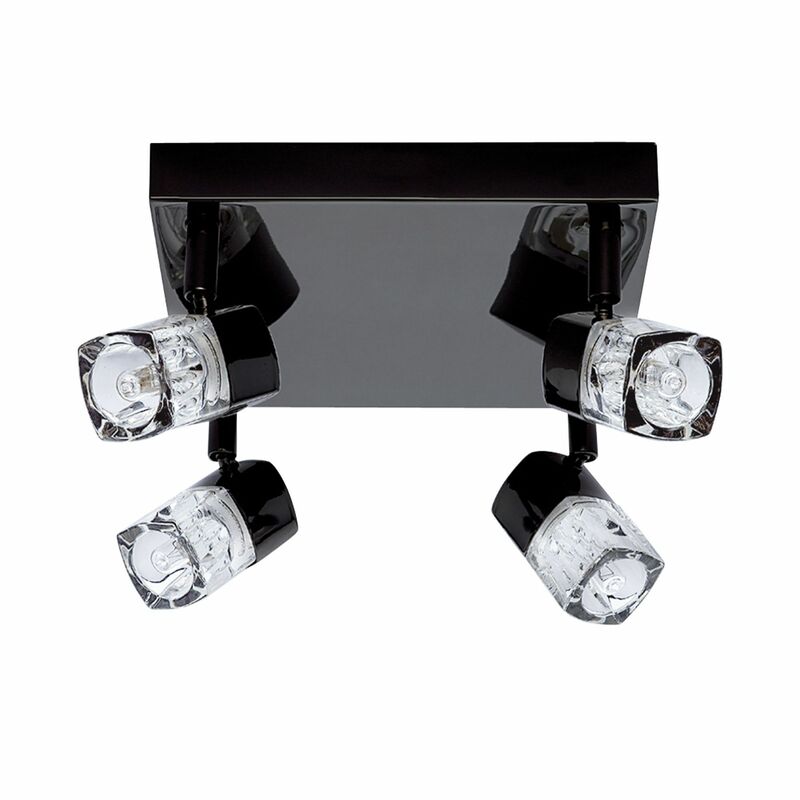 Led Blocs - 4 Light Spotlight Square, Black Chrome, Clear Glass (Ice Cube) - For A Spread Of Focused Light, Use This Spotlight Square With A Chic Black Chrome Finish. Four Clear Glass Ice Cubes Each Hold A Light That Projects A Warm White Beam. Ideal For Use In A Kitchen, Dining Room Or Living Room. Leds Use Up To 85% Less Energy And Last Up To 20 Times Longer Than Incandescent Bulbs.